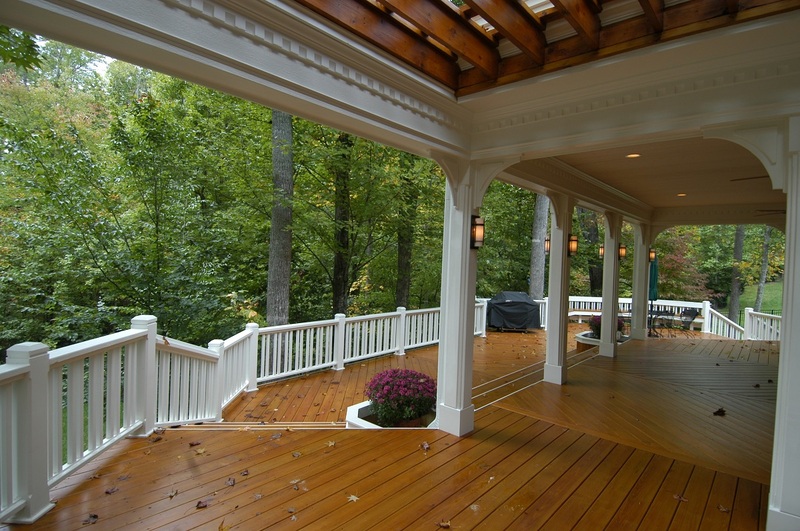 I talked to about five different contractors before deciding on TBG Deck Builders. Jeff really worked with me on design and price options. I was really impressed with how knowledgeable he was. The new deck is awesome and we have already used it for a large gathering. Everyone was really impressed! Your crew really worked hard and the detail is great. Great job Guys! With absolutely no hesitation, I highly recommend Jeff Bowles and Crew. I have already passed their name around to friends and relatives interested in adding or upgrading their decks. Thanks for the hard work fellas. 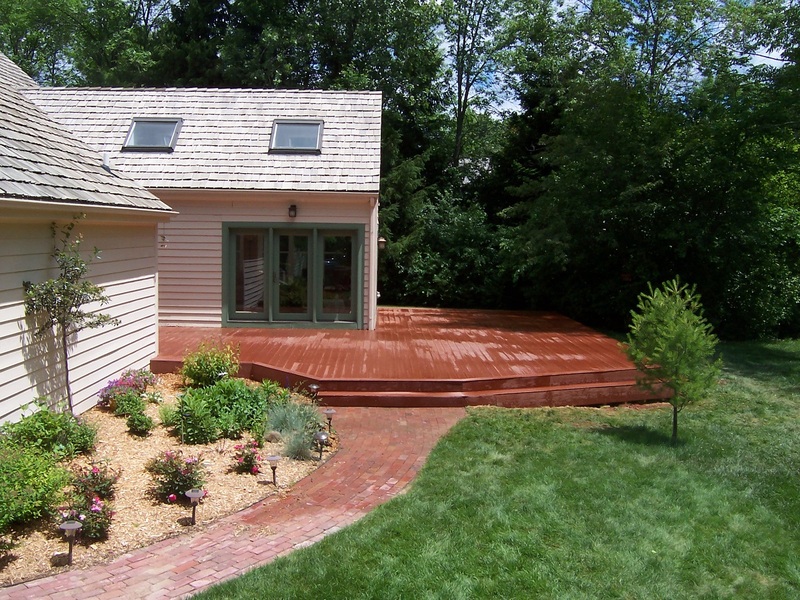 After an extensive contractor search, we decided to have The Bowles Group build our new composite deck. 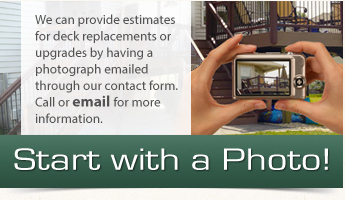 They offered very competitive pricing, sound advice, and finished on schedule. They were also very accommodating with changes that we made during the project. We now have a solidly built deck that we can be proud of. Thanks guys for your hard work. 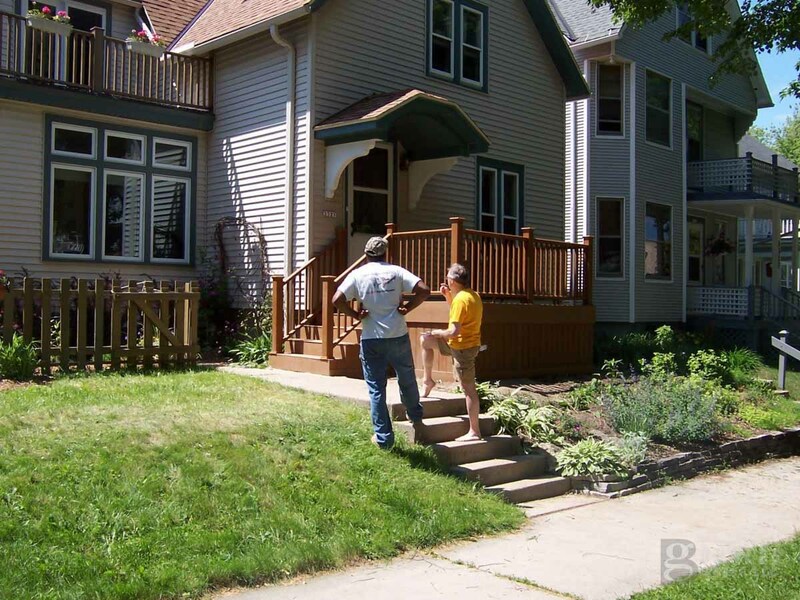 The Bowles Group replaced our old front porch with a new composite lumber front porch. Jeff and crew did an amazing job. They offered a competitive bid, finish the project on schedule and stayed within the budget. We are very happy with our beautiful new composite porch. I would absolutely recommend Bowles Group to anyone. We didn’t have any contractors in mind when deciding to build our deck. But after our first phone call with Henry and our visit from Jeff we knew we had found our contractor. They were very personable and a joy to have around the house. 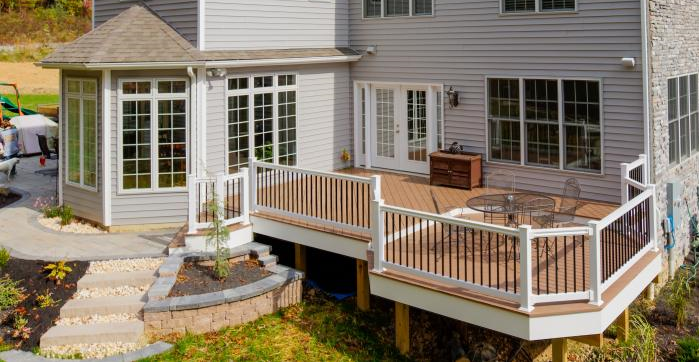 The detail of the deck was more than we imagined. We were expecting a deck but we got an absolutely amazing deck! Hats off to you guys for a job well done. 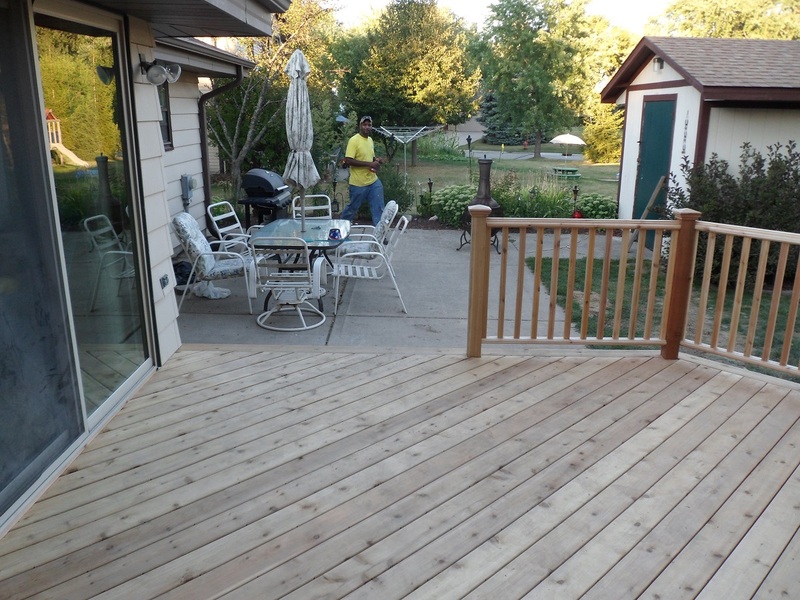 Thank you for the beautiful job you did on our deck, and also for the great workers you sent. The crew made an excellent team. They were polite, professional, precise, and responsive to our needs. They were accurate craftsmen and artists. 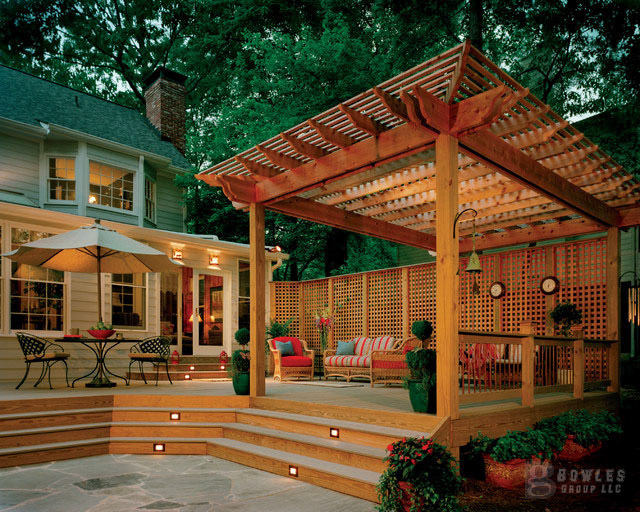 We have the best deck and pergola that I have ever seen, which makes us really happy. 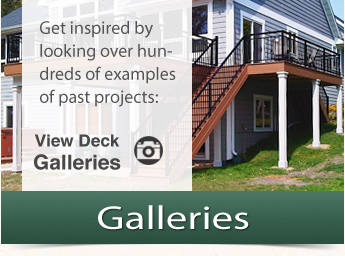 We highly recommend TBG to anyone who needs a beautiful and well-built deck. Please feel free to add us to your list of references as satisfied customers. For past clients who would like to appear on this page, please leave your comments on our Google + page. We really appreciate the support! Thanks.